What’s your preference between the Ruger Bearcat and Single Six? Love my single six. Got it used for $200 not a scratch on it also came with the mag cylinder. I thought you listed a Single Six on here some years ago for sale? Lawdwaz , what purpose you thinking for one ? Yea, I figured as much that somebody would say something. I even thought about putting something to that effect in the opening post. Not me but possibly another revolver or a SWEET S&W Model 41 that I sold 4 years ago. I do have a Heritage Arms Rough Rider and a H&R Sportsman, both .22 revolvers but I don't recall ever listing them?? What barrel length do you have there? it's a 5" barrel. Last weekend I was in a gun shop that had a stainless bearcat for $300 I just don't like the rear notch sights. I have a Ruger Mark II and a S&W 422 for dumpin' rounds. A few .22 revolvers too......oh and the Beretta Bobcat too. Or he could have best of both worlds a single ten . 10 rounds and revolver..
To answer you question, bearcat for a something different gun. There ya go, that says a lot. I like the Bearcat but it doesn't fit my big hands well to actually shoot. Single Six feels better for me. Single six for me . I picked up a liberty model a few years back it's a shooter. Came with original box paper work and original bill of sale . Was sold from Ray Hotchkiss gun shop . I played more than double what it cost originally. LOL, YES!! That I remember now!! That was a nice revolver that I bought back in the mid 80's but just didn't do much for me. I'd like to handle each one but like you, I think the Bearcat might be a bit small for my mits. I bought my S&W K-22 ( new) there in 1974...I wish there were gun shops like that around here today..There used to be several good ones in the Corning/Elmira area, but Ray's was one of the best.. I had a stainless Single Six with the mag cylinder (never used it). I cant remember what I traded it for, but I sure wish I had it still. Stone cold reliable, low maintenance, great accuracy, and it is one of the prettiest handguns ever made. For me though, it was too big for my normal woods wandering that it would accompany me on, I didn't really small game hunt with it, but it was a lot of fun for plinking. I had always loved the Bearcat, and think for my purpose it is more size appropriate. It would be perfect with an adjustable sight. Along the same line, a S&W .22 kit gun is great too, closer in size to the Bearcat, and it has the fantastic Smith adjustable sights. I already have a High Standard Sentinel .22 though, which though well worn is certainly in the same game. I think I don't give a lot of thought to it as much as I used to, in that I seldom grab a handgun heading out in the woods anymore. I have grown to feel sorry for the poor redsquirrels, porkies, woodchucks, etc. that were the game of opportunity, and don't harass them like I used to. I had a Ruger Bearcat Lawdwaz years ago. Sold it. Down to just 1 Handgun now and recently acquired my Full Concealed Carry Permit. 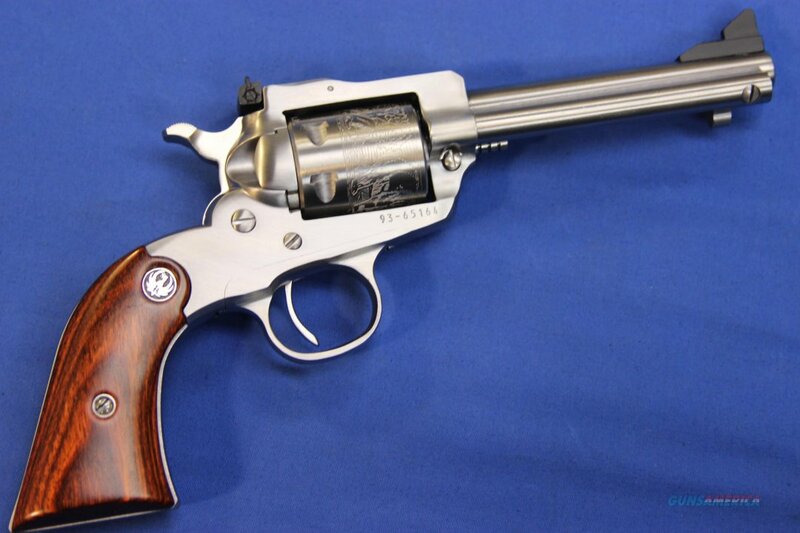 When I first got my permit I purchased a stainless Single Six and a 357 stainless Blackhawk both with 6 1/2 inch barrels. I shot and hunted with both of them a lot and they were totally dependable with good accuracy. 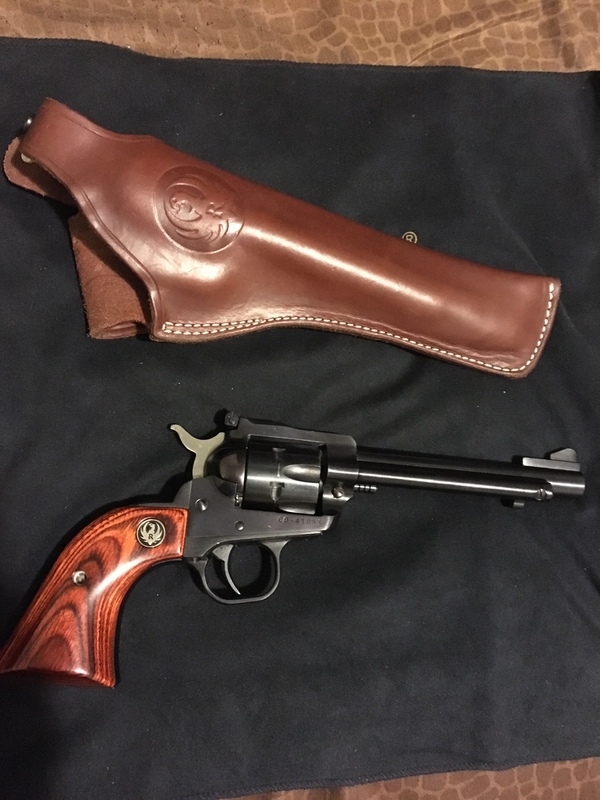 After several years of shooting different styles of handguns my preference took a turn toward double actions revolvers as the grip and ergonomics of the double action guns just had a better feel for me so the two Rugers were traded off for something more to my liking. The longest shot I ever made with a handgun on game (a Woodchuck) was with the Single Six loaded with CCI Stingers. The Bearcat is a very fine little revolver that many call a "trail gun" I liked them but felt they were hampered by the lack of adjustable sights. The large range of bullets and velocities found with 22 rimfire ammo make a fixed sight gun a deal breaker for me. Lipsey is an distributer that has a special relationship with Ruger and has limited runs of custom models made just for them, they had a limited edition Bearcat made with adjustable sights, if I had to have a Bearcat that would be the one for me.